Hello there and good Monday! 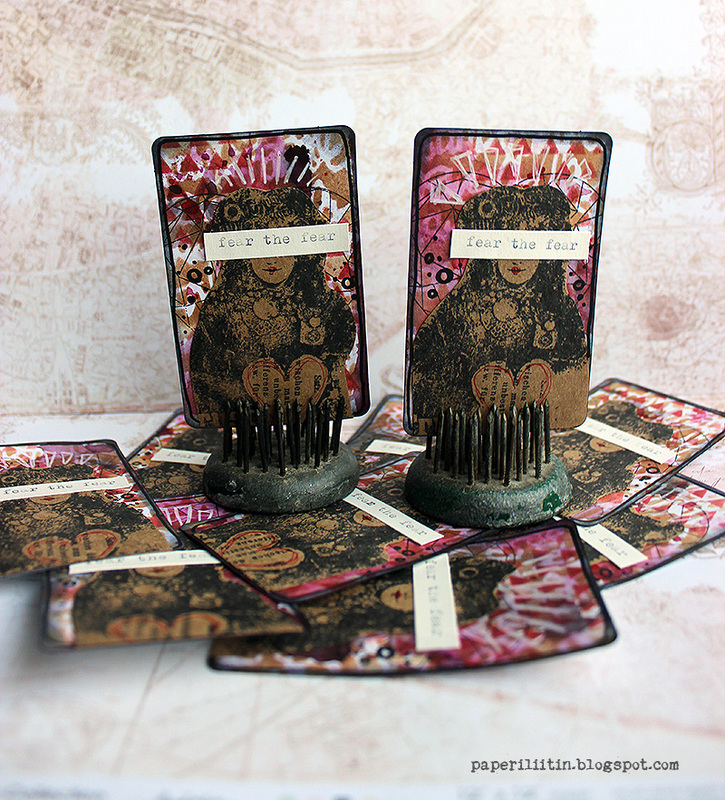 Some time ago I took part in an ATC exchange with music theme. The other requirement was that there needed to be something stamped in the card. The first requirement with the theme was easy, as I immediately knew I was going to go with Turisas (link), my favorite band. The hard part was to choose what song to use. I didn't want to underline the theme too much, but more go with an interpretation that wouldn't be too clear immediately. 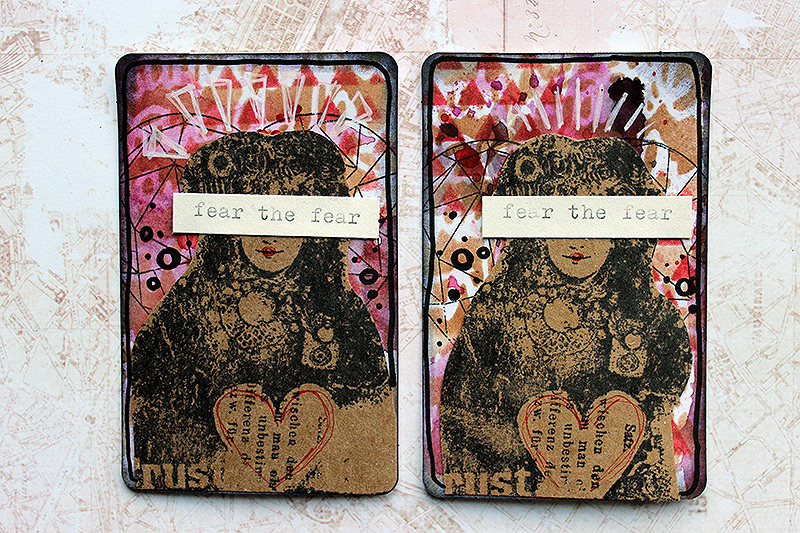 Thinking about the song and the stamping, I decided to with one of my favorite songs - "Fear the Fear". 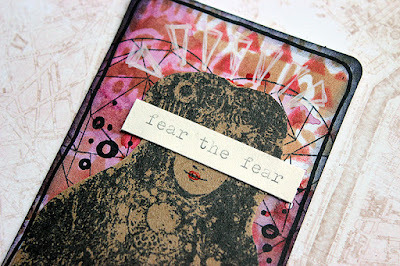 I stamped the ladies to craft cardstock and covered their eyes with the title of the song "fear the fear". 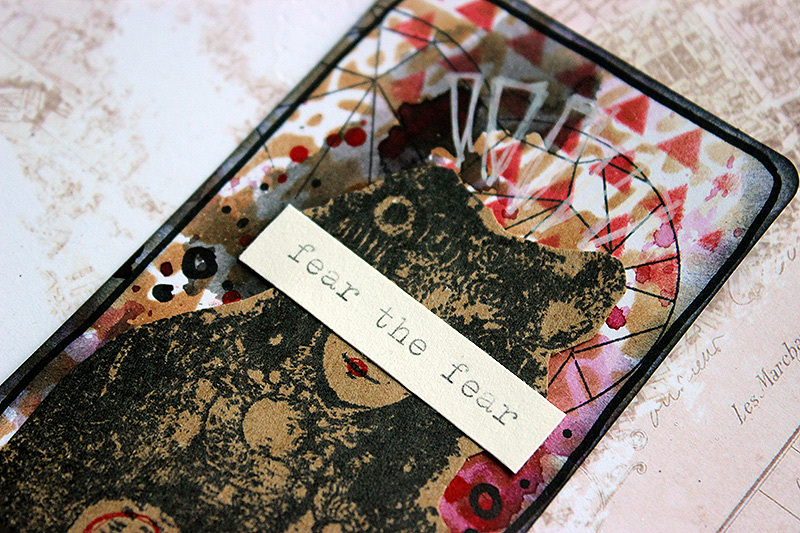 The idea to this came from the song's lyrics as they go: "you have covered your eyes, you have covered your ears, so easy to hide from confronting your fears". So the ladies have covered their eyes in fear. The backgrounds are done on top of white ATC bases using the Turisas colors red and black. 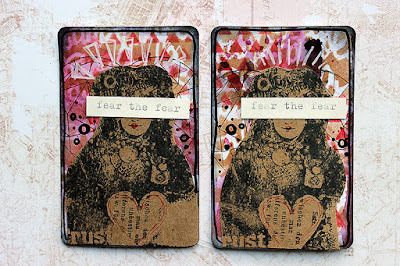 I used different stencils and inks to make the backgrounds and also added a stamped heart in there. This is a reference to "Heart of Turisas" - a line from another song but also a mixed media piece I've done previously (link). I made the required amount of cards all similar and belonging to the same set. I think this is usually the fairest way to go. This way no one should feel "why I got this when she/he got that" as the whole set is similar. 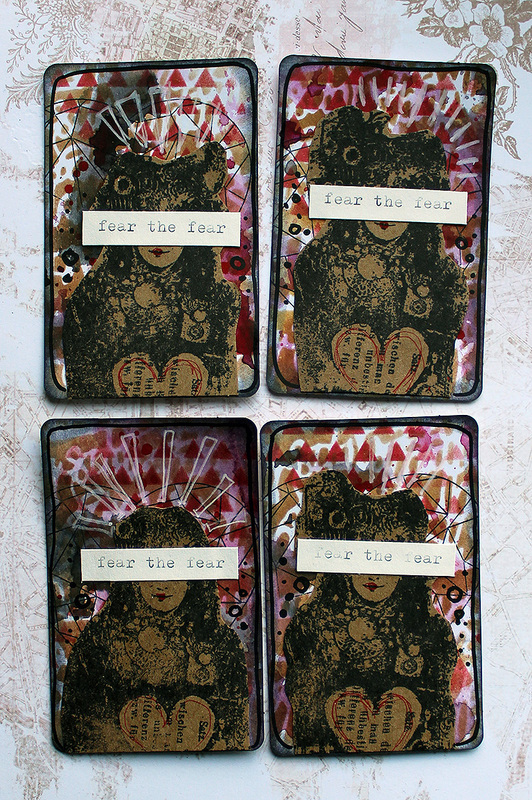 Naturally there's some differences and the cards are individuals, but mainly they follow the same steps and design. Thank you for stopping by today! 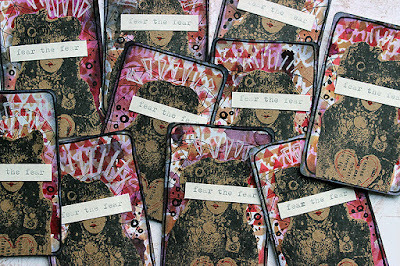 And I want to thank everyone who took part in the swap and especially Mustakatti for organizing the swap! Have a great start to the week everyone!